Assistance to the repair workshop in the electronic repairs of vehicles. The automobile industry lives in a constant technological evolution, and there is a tendency to incorporate more and more electronics in the vehicle systems management. 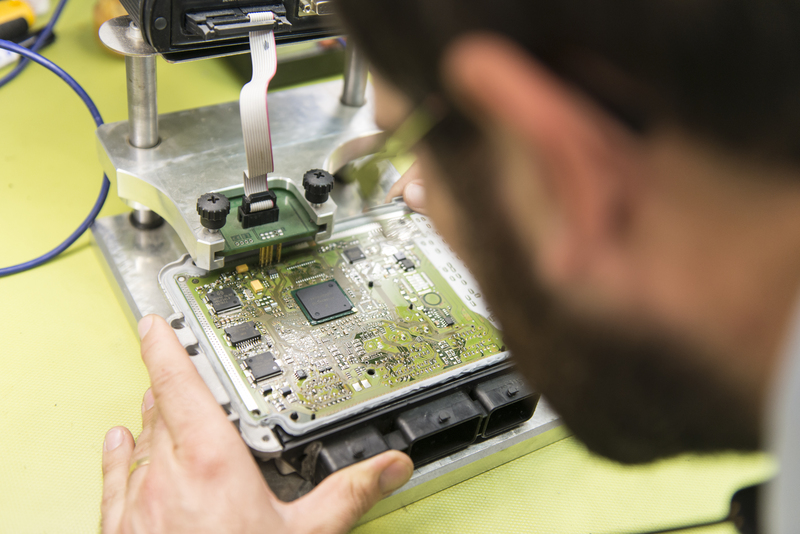 Therefore, mechanics face a growing number of electronic units in repair and maintenance processes. As a result, technicians find nowadays numerous faults whose origin comes from faulty electronic units. Aware of this reality, Grup Eina Digital decided to open the EINATECH department with the aim of providing solutions to technicians who face faulty electronic units. The vocation of the service is to give support to workshops for complex and expensive labours that allow them to save time in repair and provide cheaper solutions to their customers. The purpose of this service is, in case of not defining clearly the origin of the fault, we provide a unit to the workshop to confirm or discard the fault in the unit, thus saving him hours in the diagnosis and the fault search. It is an efficient and economical way to check the functioning of the unit.